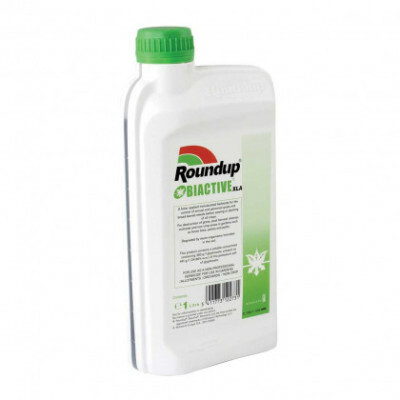 Round Up Biactive – 1 Litre is a professional herbicide with a triple strength formulation, it is used to control annual and perennial grass and broad leaved weeds in non-crop areas. Roundup Pro Biactive is a foliar applied herbicide developed for use on weeds in amenity vegetation, enclosed waters, hard surfaces, natural surfaces not intended to bear vegetation, land immediately adjacent to aquatic areas and open waters. Roundup can be used throughout the garden, however care is needed when applying as it will kill anything that it comes into contact with.